« Will the Real 3-Year-Olds Please Stand Up? 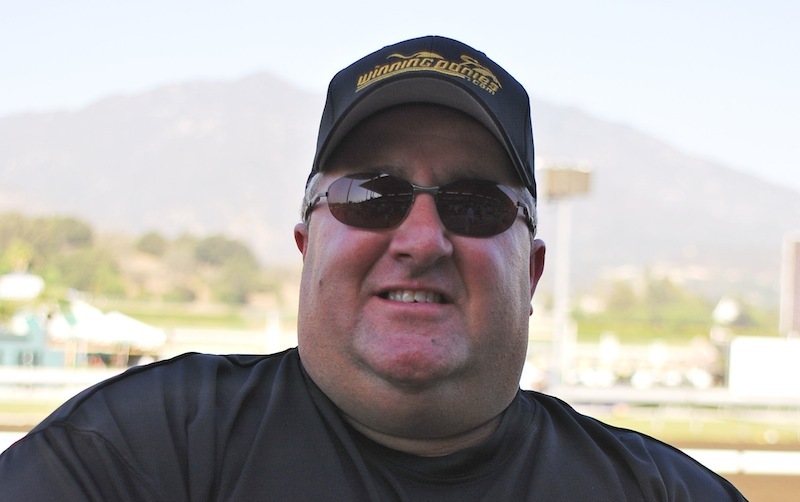 I couldn’t have been more honored recently when “Winning Ponies” host Ed Meyer asked me if I would take over the reins of the weekly broadcast. As you may have sensed from the many times he welcomed me as a guest, we are good friends and go back a long way. Our relationship is one of biblical proportions – literally. I trust he wouldn’t mind me sharing this story. Years ago, on one of the big days at Turfway Park, I was working with Pat Lang, the photographer and Ed was in the paddock giving out his picks on television. Ed and I knew each other casually and had mutual respect for our positions at the two tracks in the Cincinnati market. I heard Ed referring to one of the top contenders as “Gets the Money” in his pre-race commentary. I checked the program and couldn’t resist the chance to bust his chops. When he was off camera, I approached him and said, “You skipped a lot of Bible School didn’t you?” Ed looked befuddled and said “What the hell are you talking about?” I had to chuckle and told him that “Gets the Money” was actually “Gethsemane” the garden in Jerusalem at the foot of the Mount of Olives where Jesus met his good pal Judas. We both had a good laugh and the foundation of a friendship was laid in place. Several years later we had an opening for a Director of Marketing at River Downs and I had the opportunity to recommend Ed for the position. He passed the interview with flying colors and the Bible School dropout became my roommate for six years. We shared an office, and what started as a professional relationship became what will be a lifetime friendship of respect. Ed often downplayed his handicapping skills with his guests on “Winning Ponies”, but let me tell you – he is one of the sharpest guys out there. I don’t have enough fingers and toes to add up the times he started out with a $20 bill and ran that up to $200 by the end of the day. He was always generous on those good days with rounds of beer at A.J.’s Roadhouse after the races or an Ernie’s Special from the track deli the next day. As the host of “The Regular Guy” handicapping show, Ed was my go-to guy and made more appearances than any other co-host. Those sweaty days in the grandstand will be etched in my memory forever. They were filled with laughs and some pretty decent handicapping. We were open to anyone who wanted to walk up and chat after a win (or throw tickets in our face for a bad pick)…came with the territory. Having Ed as a handicapping partner for all those years was a learning experience for the both of us. One that I believe made us appreciate different styles of approaching a racing card to find a winner. Ed Meyer put a lot of time and energy into his production of his “Winning Ponies” shows – thanks for the pressure, pal. 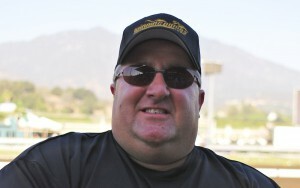 I watched him grow from “Do you think I should call so-and-so” to “Guess who I have on the show this week!” He has landed an outstanding array of guests and handicappers to make “Winning Ponies” the class show it has developed into. Through his efforts, he has created a fan base for the format that has reached thousands of listeners on a regular basis. I hope to maintain the quality of entertainment and selections Ed delivered weekly – he set the bar high. Ed landed those big shoes I have to fill at one of America’s great places to race – Keeneland. He will be a busy man, but one that will never forget his friends at WinningPonies or his old pal from Bible School. Listen to “Winning Ponies” on the VoiceAmerica Sports network every Thursday at 8pm Eastern/5pm Pacific. Best of luck, and do-what-you-do-well !